More than 80 million tourists visit Florida each year. Tourism accounts for 22% of sales tax revenue in the state. Visitors to Florida spend an estimated $60-plus million yearly. In the first quarter of 2011, the state’s tourism marketing agency reports 23.3 million visitors to Florida. 19.8 million of those first-quarter visitors were from locations within the U.S.
2.1 million were overseas visitors. Canadian tourists numbered 1.4 million in 2011 Q1. The state’s tourism marketing agency estimates that more than 80 million people visit Florida each year. Our miles of beautiful beaches, sparkling Gulf of Mexico and Atlantic Ocean waters, and acres of parks and nature preserves offer abundant venues for outdoor enthusiasts. For those who like the excitement of world-class theme parks and attractions, Florida offers everything from Walt Disney World to SeaWorld to Kennedy Space Center. Millions of visitors also find their way to our Southwest Florida communities and beaches every year. Local residents embrace tourists and the economic benefits they bring. But if you’re visiting an unfamiliar area, driving and navigating may prove challenging. You could find yourself the victim of a traffic accident, or you could suffer injuries while visiting a store, restaurant, hotel or attraction. When visitors to Fort Myers, Naples or other communities in our area suffer injuries, the personal injury lawyers at Associates and Bruce L. Scheiner, Attorneys for the Injured, are the professionals they turn to for help. Our firm knows how quickly the vacation of a lifetime can turn into a nightmare if you’ve been hurt in a car accident or other mishap. We also know how intimidating an unfamiliar area can seem if you have no local friends or relatives to lean on. At Associates and Bruce L. Scheiner, we know that Southwest Florida’s abundance of attractions, sports venues, performing arts centers, museums, beaches, and shops are popular sites for visitors from around the globe. High numbers of tourists can mean that a variety of injuries may occur. Walkways, elevators, escalators, and parking garages at hotels, shops and attractions may become the sites of slip-and-fall injuries and other mishaps. Hotel swimming pools can pose dangers for guests, as can recreational activities such as personal watercraft and boats. When you suffer injuries in unfamiliar surroundings, you want to know that you have an experienced personal injury attorney on your side – one who knows local laws, customs, medical facilities, and resources. The tourist injury lawyers in the Fort Myers, Naples, Cape Coral and other offices of Associates and Bruce L. Scheiner, Attorneys for the Injured, understand the position you’re in. We are pleased to be the skilled and knowledgeable advocates you need when unexpected injuries interrupt your pleasure or business trip to Southwest Florida. 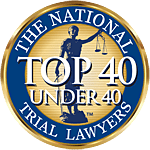 Our firm has a 40-year record of successful representation of those injured in car crashes, truck accidents, motorcycle accidents, drunk-driving crashes, bicycle accidents, pedestrian accidents, slip-and-fall accidents, premises incidents and other situations. We understand how upsetting accidents that cause serious injuries can be. When you’ve been hurt, our experienced Fort Myers, Cape Coral and Naples personal injury and wrongful death lawyers will meet with you at your hospital room or hotel if you are unable to come to us. A legal professional at one of Associates and Bruce L. Scheiner’s locations throughout Southwest Florida can explain your legal rights and evaluate your case free of charge. When we take your case, we charge you no fees unless we win.